FEATURED IN: Cortec’s EcoLineBiodegradable Drilling Rod Grease to Replace Petroleum-Based Counterpart Featured in BioBased Magazine! 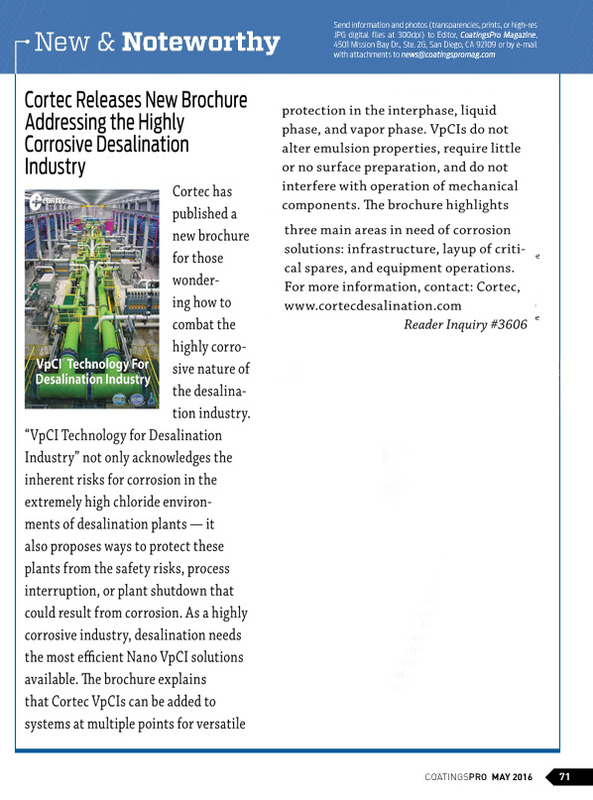 FEATURED IN: Cortec® Introduces Economical Biobased Corrosion Inhibitor for Seawater Hydrostatic Testing Featured in Analyst Magazine! 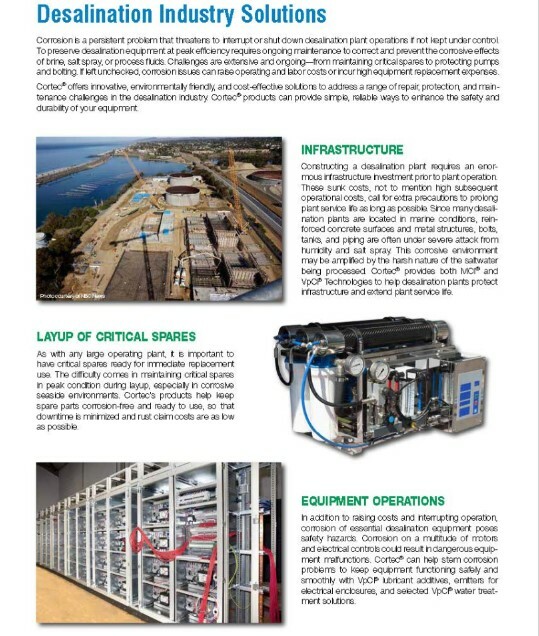 FEATURED IN: Desalination Industry Solutions Featured in Connecting Industry Magazine! NEWS ALERT: Cortec ® Corporation’s Desalination Brochure Now Available in Portuguese! 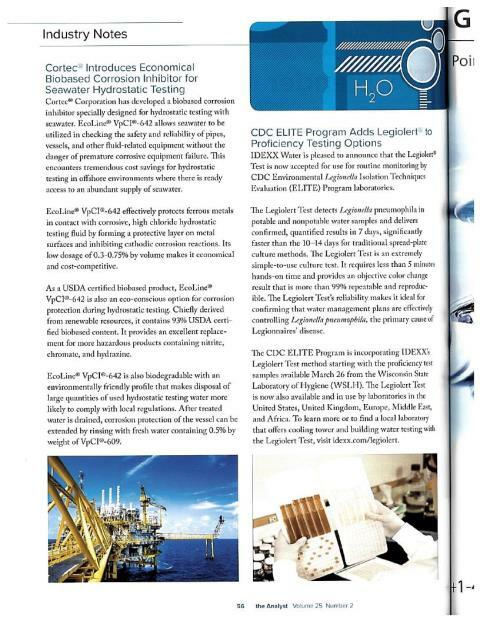 FEATURED IN: VpCI Technology for Desalination Industry Featured in New Equipment Digest Magazine! FEATURED IN: Cortec Releases New Brochure Addressing the Highly Corrosive Desalination Industry Featured in Coatings Pro Magazine! NEWS ALERT: Cortec’s “VpCI® Technology For Desalination Industry” Brochure Featured In May Issue of Coatings Pro Magazine! FEATURED IN: Cortec® Releases New Brochure Featured in Industrial Waterworld Magazine! FEATURED IN: Cortec® Releases New Brochure Featured in Micro Engineering Magazine! FEATURED IN: Cortec® Releases New Brochure Featured in Stainless Steel World Magazine! 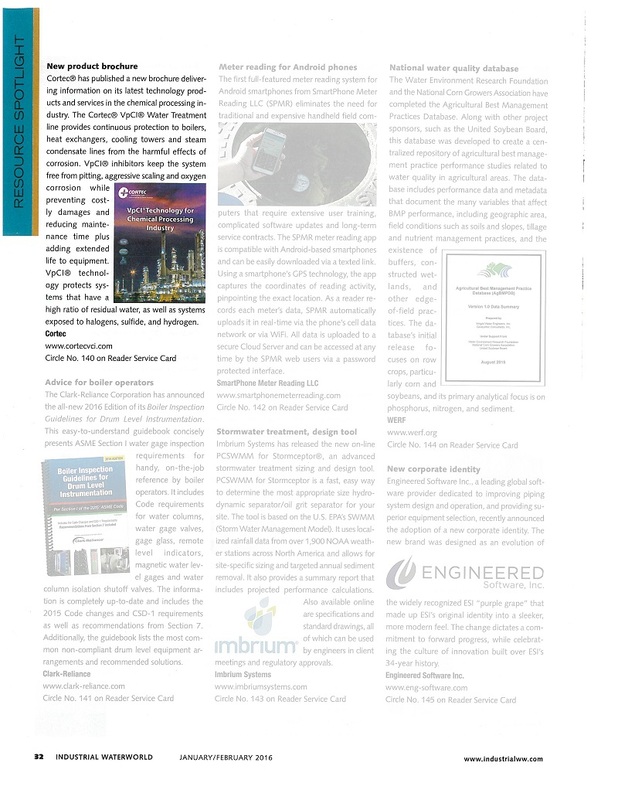 Cortec’s EcoLineBiodegradable Drilling Rod Grease to Replace Petroleum-Based Counterpart Featured in BioBased Magazine! Cortec® Introduces Economical Biobased Corrosion Inhibitor for Seawater Hydrostatic Testing Featured in Analyst Magazine! Desalination Industry Solutions Featured in Connecting Industry Magazine! Cortec ® Corporation’s Desalination Brochure Now Available in Portuguese!